Who doesn’t love a good makeover? You’ve seen those TV talk shows where they take the man or woman still dressing and wearing their hairstyle like it’s 1975 and hook them up with a new wardrobe and hairdo to the delight of their exasperated family and loved ones. Or the reality programs where they take people’s shabby looking homes and living spaces and transform them to look as if they were plucked from the pages of a high-end home and interior design magazine. Call me weird but my favorite moments of these makeover shows were the instances where the makeover was not well received by the people who were the subjects of the makeover. I clearly remember one episode of Trading Spaces where a couple from the South had their living room redone and they were led to the new space blindfolded and when they were allowed to view their newly designed living room their jaws dropped, but not in a good way. The design was too sparce, too cold and modern for them, the new furniture looked too radical and uncomfortable. The woman actually cried and walked off camera so distraught. The man stayed there trying to explain to the flabbergasted designer hosts what didn’t work. Makeovers happen in marketing as well. It’s called rebranding and it involves changing the brand name, logo, visuals, packaging, marketing materials and/or any other defining aspect of a brand’s consumer connectivity. For the purposes of this article I am going to focus on the rebranding of packaging. As a marketer, the decision to rebrand and change your packaging design is probably one of the hardest decisions that you’ll make. It’s particularly difficult because a company’s package design is its public face, the device that has the power to compel shoppers to interact, love or hate a product. 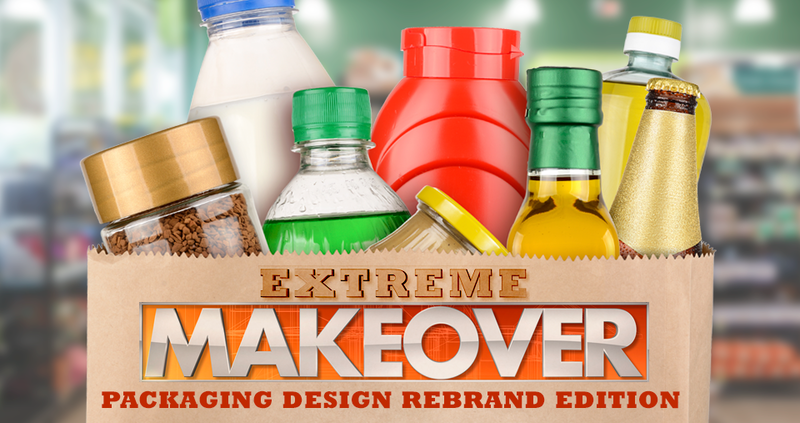 Changes to packaging design following a rebrand must be treated with extreme care, as in many cases the impact can go way beyond a shopper’s emotional connections and infringe on their shopping behavior. You don’t want your customers ending up like that poor woman who walked off camera unhappy with her living room makeover! 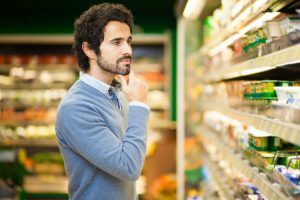 If you take your average weekly supermarket or convenience store journey, most of us act instinctively, giving very little attention to many of the products or brands that we place into our carts. This means that changes to the way our regular purchases look on shelf will have a huge impact on our search and selection process. Refreshing your packaging without alienating or losing appeal to existing shoppers is about understanding and building on the design elements that customers love, recognize and hold dear. Believe it or not, consumers feel an emotional bond with the appearance of the product and brands they love. They have an emotional connection with brands they purchase and can feel betrayed and disappointed if they suddenly can no longer identify with new brand elements of the packaging design. It is important to always consider this before making changes to packaging designs. So here are four mistakes you need to avoid in order to successfully rebrand packaging. Rebranding your packaging can be very alluring. Don’t be quick to change your package or brand without significant evidence that it is necessary. With a big change, test before going to print. Also consider a soft launch in a small market. At least see what the new package design looks like in retail against your competitors. Doing the homework up front will save you money and headaches down the road. Just ask Tropicana when they had their well documented rebranded packaging fiasco back in 2009. A common knee-jerk reaction when presented with redesigning packaging is to immediately change the visual identity of the package. Keep in mind the brand’s colors, logo, and imagery play a significant role in how product and packaging are perceived by consumers. However, rebranding efforts in packaging should run deeper than visual identity. Companies must consider their target customers, brand values, promise, and other factors to successfully change up the design of the packaging. Otherwise you risk having the packaging design reboot feel inauthentic among your loyal customers. If your customers don’t believe your new brand identity, it’s unlikely to stick. Your rebranding must align with your products, culture, and unique value. Brand positioning, consumer insights, competitors’ strengths and weaknesses, market trends—these factors and many others are the building blocks of a proper rebranding design process. But many agencies overlook or simply don’t seek out these critical insights. Redesigning packaging requires a full and accurate analysis of where, how, and for whom a package must perform, addressing factors from costs to merchandising to sustainability. Be open to constructive criticism from shoppers. 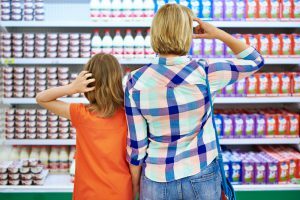 Consumers are the ones walking the aisles every day, deliberating whether or not to buy your product, so their advice matters. Since they are familiar with your product and probably your competitors, they’ll often have practical advice on how you can improve your packaging. One way to find out exactly what your customers are saying about your products in real time is by monitoring your social media platforms. Keep your eyes and ears open to compliments, complaints, and general buzz about your product or packaging. Take their comments and feedback to heart and use that information to inform your packaging concepts and designs. When you’re launching a new redesigned packaging concept, generate buzz online by posting about exciting new developments. If those changes were driven by customer suggestions, make sure to advertise that. By letting them know you’re listening to them you will make them feel like they were part of the process, which they absolutely were. The takeaway for marketers and brand strategists should be an even greater respect for packaging and a deeper commitment to leveraging this brand asset with a methodical procedure when deciding to undergo a rebranding. This will ensure consumers accept the change in a positive manner.